Norvarnica is proud to welcome Marie-Eve Lamontagne within its team of athletes. Marie-Eve is a determined and focus woman for whom sport, personal challenge and the well-being of her surrounding are the essence of her lifestyle. New and ambitious challenges drive her. She started road cycling for fun 13 years ago and she has now been road running for about 8 years. In 2011, she starts running more seriously for her first marathon. After, she decided to do a triathlon. Well, she did a half Ironman (70.3) as her first triathlon. As we mentioned, she loves challenges. She completed her first Ironman in 2016 and had done several triathlons and marathons prior to that. Always looking for new challenges, she began trail running in 2015. She fell in love with that discipline. In 2016, she also discovered the pleasures of obstacle races like the Spartan Race, Race Blackout and long distance trail running such as the Ultimate XC. 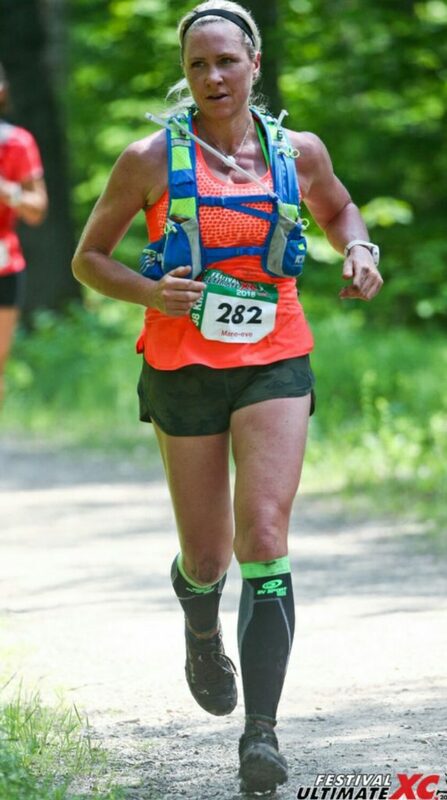 On June 25th 2016, she made her first long distance trail running race, the Ultimate XC in Saint-Donat (38 km). She won a 3rd position with a time of 5:04:42, only 4 minutes from the 2nd position. Wow, unexpected! In 2016, she embraced the obstacle courses, which are very demanding mentally and physically. In her first year of competition, she qualified for the world championships Spartan Race in Lake Tahoe. In this kind of challenge, the body undergoes multiple bruises, sprains and cramps, which allows Marie- Eve to put the Novarnica products to the test. She helps us in our research and development process by testing our products under different conditions, situations for various injuries or bruises. You can follow her on our Facebook page where she will share her experiences, trainings, difficulties. You will discover a dynamic athlete, a fulfilled woman who will communicate to you her passion for the sport, life and personal growth.